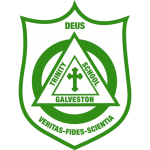 I’m new to the TES family, and to living in Galveston, and I’m so excited to be here! I’ve been in childcare for about two years now, working in PK2. My hobbies are reading, studying history, watching movies, and walking around the Strand and the beach. I’m actively working on gaining an associate’s degree in Dental Hygiene.